Bermuda Tourism Authority (BTA) today announces the appointment of Bill Hanbury as Chief Executive Officer (CEO), effective January 27. He will report to the Board of Directors. An industry veteran with over 25 years of senior management experience, Mr. Hanbury will be responsible for leading the newly created Bermuda Tourism Authority. Area, managing an iconic brand at a watershed moment in its history. During his tenure, he: rebuilt the internal operating structure, implemented a development strategy that improved financial stability and rebuilt the organisation’s marketing, communications and digital capabilities. Prior to that, Mr. Hanbury served as President & CEO of Destination DC and the American Experience Foundation from 2001-2009. While there he oversaw domestic and international marketing and sales for one of the world’s top tourism destinations. The organisation was responsible for selling the Washington Convention Center and positioning the U.S. Capital as a first-tier convention, tourism and events location. His key accomplishments included: significantly improving DC’s status in the international tourism marketplace, helping lead the economic recovery of the hospitality industry after 9/11, re-designing Destination DC’s management and marketing functions, plus leading the sales team that booked over 1 million room nights annually. He also provided logistics leadership for: international forums, economic summits, presidential inaugurations, national celebrations, plus memorial and museum dedications. During his tenure as CEO at various convention bureaus and chambers, including Greater Milwaukee Convention & Visitors Bureau and Hilton Head Island Chamber of Commerce, Mr. Hanbury led an industry trend to use sporting events as economic development tools for communities. A sampling of these events included: PGA Golf events, USA Triathlon Championships, World Championship Boxing, the National Sports Festival, National Softball Championships, Empire State Games, US Olympic Marathon Trials and National Balloon Festivals. David Dodwell, Chairman of the BTA, says: “Bill brings tremendous marketing and management expertise that will assist Bermuda as we re-energise the island’s tourism economy to compete in the global marketplace. He has led the rebuilding of other organisations with similar challenges and we look forward to having him form and lead the team at Bermuda Tourism Authority. Mr. Hanbury holds a graduate degree in public administration from Harvard University and an undergraduate degree from Wilkes University. 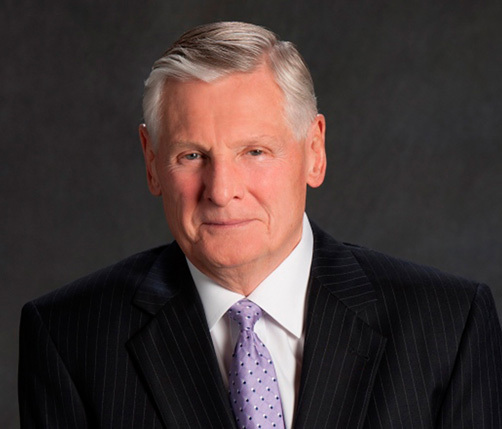 Mr. Hanbury currently serves on the Board of Wilkes University. He has also served on the boards of national travel and tourism organisations, including the: US Travel Association, Travel Business Roundtable, American Bus Association, and Professional Convention Management Association. Additionally, he served as Chairman of Destination Marketing Association International, the global organisation for destination marketing professionals. The executive search for Mr. Hanbury was conducted by Korn Ferry in concert with BTA.